Do you plan to move to a new state or across the country? If so, you may want to have your vehicle shipped rather than drive it yourself. Currently, there are two car shipping options available – open and enclosed. Below we provide information to help you decide which car shipping method is best for your budget and your vehicle. What are the Main Differences Between Open and Enclosed Car Shipping? Both open and enclosed car shipping is accomplished by moving your vehicle by truck. 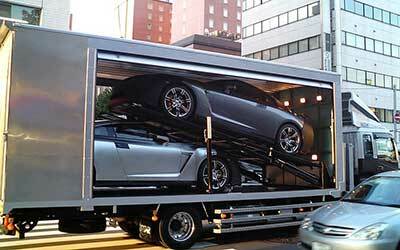 With open transport, your car is usually shipped on a long, two-level trailer. (You’ve probably seen these trailers loaded with vehicles on the highway.) Open transport is suitable for any type of vehicle and is the best choice if you want to ship a standard model or a used car. With enclosed transport, your vehicle is shipped in a fully enclosed trailer. This offers a higher degree of security and protection for your vehicle. Enclosed transport is often the chosen shipping method for owners who wish to move a new car, an antique, a collectible, or an expensive vehicle. Pros: Shipping by open transport is faster and cheaper than enclosed transport. In addition, there are more open-air carriers on the road. This makes it easier to book a preferred shipping and arrival time. Shipping by open carrier is more affordable. 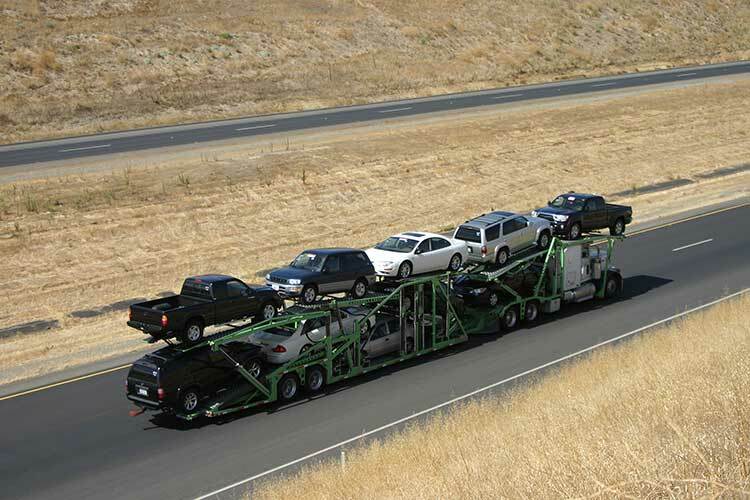 Seven to 10 vehicles can be loaded onto a two-tier trailer and shipped at one time, which saves you money. Plus, an open-air trailer is lighter than an enclosed trailer, resulting in cheaper fuel costs. Cons: The open transport trailer is open-air which means your vehicle is exposed to the weather. Your car also receives minimum protection from road debris during transport. Also, your car may arrive dirty and in need of a wash since cars shipped in an open container aren’t individually covered. Important Tip: Request a “top load” for open carriers. This means your car will be loaded on the upper deck of a two-tier carrier. This protects your car from flying road debris and potential leakage from vehicles that would normally be above. Pros: Your vehicle is shipped in an enclosed trailer meaning it is protected from the weather and road debris. Enclosed carriers also offer a higher level of vehicle security and protection. Drivers of enclosed carriers are more experienced in the care of high-end vehicles. Cons: With an enclosed carrier, fewer cars can be moved at once which makes an enclosed carrier more expensive compared to open carrier. There is also less opportunity for the driver to conduct routine inspections of your vehicle during transit. Enclosed carriers are heavier meaning they are less fuel-efficient. This leads to an increase in fuel costs. Overall, enclosed car shipping is more costly than the open-air alternative. Two-level, multi-car carrier: This is the most popular choice. Single-level, multi-car carrier: This type of carrier is often used for moving sports or luxury autos, or for expedited deliveries. Dully truck with a single-level tow trailer: This transport type is often used for short-distance or local deliveries. As far as carrier structure, soft-sided and hard-sided trailers are available with enclosed car shipping. Enclosed trailer options include multi-car trailers, two-car trailers, and one-car trailers. Multi-car enclosed trailers can hold up to seven cars. This is usually the most inexpensive choice if you are considering an enclosed trailer. Two- or one-car trailers are understandably more expensive. They are often used for high-dollar, antique, or rare vehicles, or for express deliveries. What Affects the Cost of Shipping a Car? Distance: The shipping distance affects the shipping price. Although it costs less per mile the longer the distance, a vehicle shipped a short distance still incurs fuel costs. This means a car shipped a short distance can cost just as much to move as a car shipped cross-country. Location (starting and arrival destinations): If you live in a rural area, shipping your car can be a complicated or challenging process for the company or driver. A limited number of auto carriers are willing to travel to a remote area to pick-up or deliver a single vehicle. This can mean longer wait times for pick-up and delivery, plus a higher cost. Vehicle make and model: Smaller, lighter cars are easier and cheaper to ship than larger, heavier ones. Your car will be weighed prior to shipping. Vehicle Condition: Is your vehicle in good working order? If your vehicle is inoperable, a truck or forklift may be required to winch the vehicle to the trailer. This adds to the shipping cost. Type of transport: As noted earlier, open car shipping is generally less expensive than enclosed transport. Car shipping carriers and brokers that conduct business across state lines are required to be registered with the Federal Motor Carrier Safety Administration (FMCSA). Reputable car shipping carriers and brokers should have a six-digit “MC Docket” number. Additionally, they should possess a seven-digit “USDOT” number. Ask your carrier or broker for these numbers and check their validity by performing a carrier search for the MC Docket number on the USDOT government website.